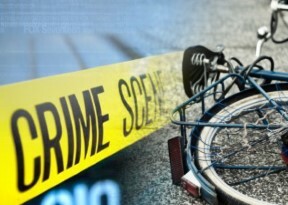 LANCASTER – A bicyclist was hospitalized in critical condition Saturday morning with injuries suffered in a hit-and-run collision in Lancaster. Deputies responded at 12:15 a.m. Saturday, Dec. 1, to the 45500 block of 10th Street West and located the victim, according to Lt. P. Bartlett of the Los Angeles County Sheriff’s Department’s Lancaster Station. Pictures from a news videographer at the location showed a bloody scene with the victim’s clothes, shoes and hat in the middle of the street. The driver of the vehicle fled southbound on 10th Street West, Bartlett said. A detailed description of the driver or the vehicle was not available. 4 comments for "Bicyclist critically injured in Lancaster hit-and-run"
Obviously, Lancaster needs to put in more bike lanes. Riding a bike during the day is risky enough. Riding a bike in the middle of the night is Russian Roulette. I feel sorry for the uneducated “person” who felt the need to make an assumption that clearly has no truth behind it.